In part 2, I shared the PowerCLI scripting I used to power on my entire lab environment in the correct order. In this final installment, I’ll take you through the scripting used to power everything down. Although you may think the process is just the reverse of what I covered in part 2, you’ll see there were some other things to consider and different approaches required. To begin the process, I’d need to shut down all VMs in the compute-a cluster. None of the VMs there are essential for running the lab, so they can be safely stopped at any time. I was able to do this by connecting to vCenter with PowerCLI and then using a ‘foreach’ loop to gracefully shut down any VMs in the ‘Powered On’ state. 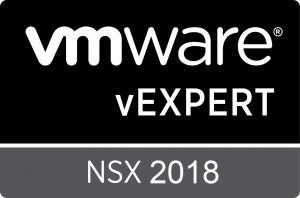 Connect-VIServer -Server 172.16.1.15 -User administrator@vsphere.local -Password "VMware9("
The above scripting ensures the VMs start shutting down, but it doesn’t tell me that they completed the process. After this is run, it’s likely that one or more VMs may still be online. Before I can proceed, I need to check that they’re all are in a ‘Powered Off’ state. A ‘do until’ loop does the trick here. I simply populate the list of all powered on VMs into the $pendingvmsa variable and print that list. After a one second delay, the loop continues until the $pendingvmsa variable is null. When it’s null, I know all of the VMs are powered off and I can safely continue. In part 1, I shared some of the tools I’d use to execute the power on and shutdown tasks in my lab. Today, let’s have a look at my startup PowerCLI script. As I started working on the scripts, I needed a way to determine if hosts and devices were accessible on the network. Unfortunately, the Test-Connection cmdlet was not available in the Linux PowerShell core release. It uses the Windows network stack to do its thing, so it may be a while before an equivalent gets ported to Linux. As an alternative, I created a simple python script that achieves the same overall result called pinghost.py. You can find more detail on how it works in a post I did a few months back here. Then using this script, I could create sleep loops in PowerShell to wait for one or more devices to become responsive before proceeding. Powering up the switch requires the use of the tplink_smartplug.py python script that I discussed in part 1. The general idea here is to instruct the smart plug to set its relay to a state of ‘1’. This brings the switch to life. I then get into a ‘do sleep’ loop in PowerCLI until the Raspberry Pi is able to ping the management interface of the switch. More specifically, it will wait until the pinghost.py script returns a string of “is responding”. If that string isn’t received, it’ll wait two seconds, and then try again. 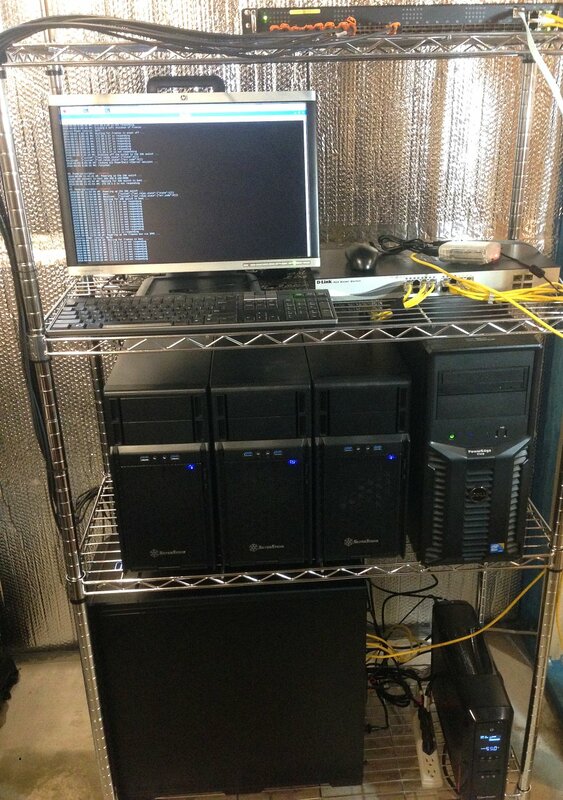 My home lab has grown substantially over the last few years and with it, so did power consumption, heat and noise. I selected power efficient parts where possible, but even with 500-600W power usage, 24/7 operation adds up. I can certainly notice the extra cost on my hydro bill, but it’s not just the financial impact – it’s also the environmental impact I’m concerned about. The bottom line is that I have no reason to run the lab 24/7. I generally use it an hour or two each day – sometimes more, sometimes less. But there are also stretches where I won’t use it for several days like on weekends or when I’m busy with other things. I found myself manually shutting down the lab when I knew I wouldn’t be using it and then manually powering everything back up. As you can imagine, this was quite a process. Everything had to be powered on or shut down in a very specific order to avoid problems. I’d also need to be standing in front of the equipment for part of this process as some equipment didn’t have remote power-on capability. Because of the work and time involved, I’d inevitably just leave it powered on for much longer stretches than I needed to. It wasn’t until I added a 10Gbps Quanta LB6M switch to the lab that I realized I needed to do something. It’s not a quiet or energy efficient switch, consuming an average of 120W at idle. One of the most important tools I use day-to-day is my lab. Although I’m fortunate to have access to some shared lab resources at VMware, I still choose to maintain a dedicated home lab. I like to have the freedom to build it up, tear it down and configure it in any way I see fit. I’ve had a few people ask me about my home lab recently, so I wanted to take a moment to share my setup. I’m not going to go too much into how I use the lab, or the software side of things but will stay focused on the hardware for now. To keep cost low. I chose mainly EOL, second hand hardware that was relatively inexpensive. I often looked for the ‘sweet spot’ to get the best performance for the dollar. To use server/workstation grade hardware wherever possible. I’ve had some mixed experiences with consumer grade equipment and prefer having IPMI and being able to run large amounts of registered ECC memory. Low noise. I really didn’t like the noise and heat generated by rackmount gear and tried to stick with custom-build server systems wherever possible. Power efficiency. Building custom machines with simple cooling systems allowed me to keep power consumption down. I also didn’t see the point of running the lab 24/7 and chose to automate power on and power off activities. Sized right. Although more RAM and compute power is always desirable, I tried to keep things reasonably sized to keep costs and power consumption down. I wanted to be able to have some flexibility, but would try to keep VMs sized smaller and power down what I didn’t need. All of the equipment sits comfortably in a wire shelf/rack in a corner of my unfinished basement. Here it can stay nice and cool and the noise it generates doesn’t bother anyone.